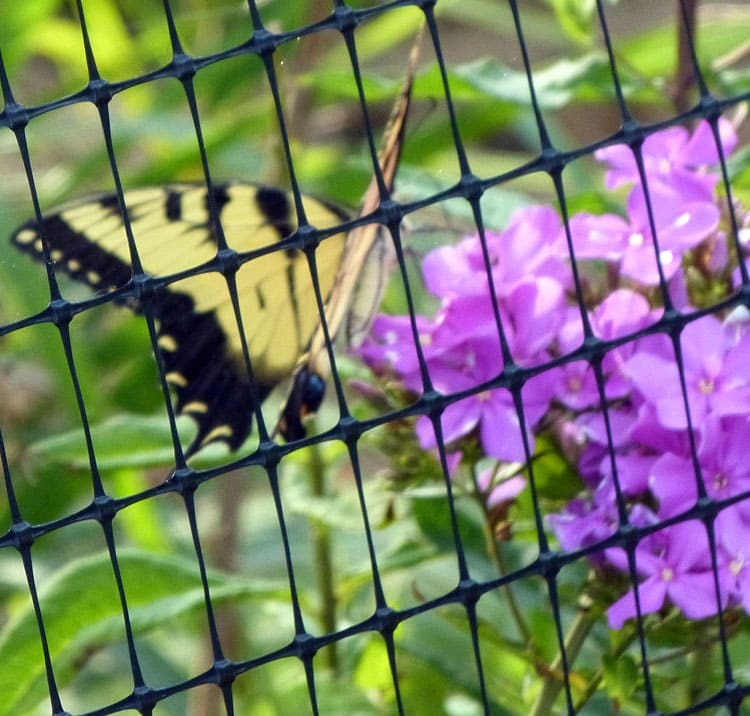 Bill was taking pictures of my squash and tomatoes for me, when he happened to see a beautiful swallowtail butterfly going through the fence to get to some phlox that was blooming. 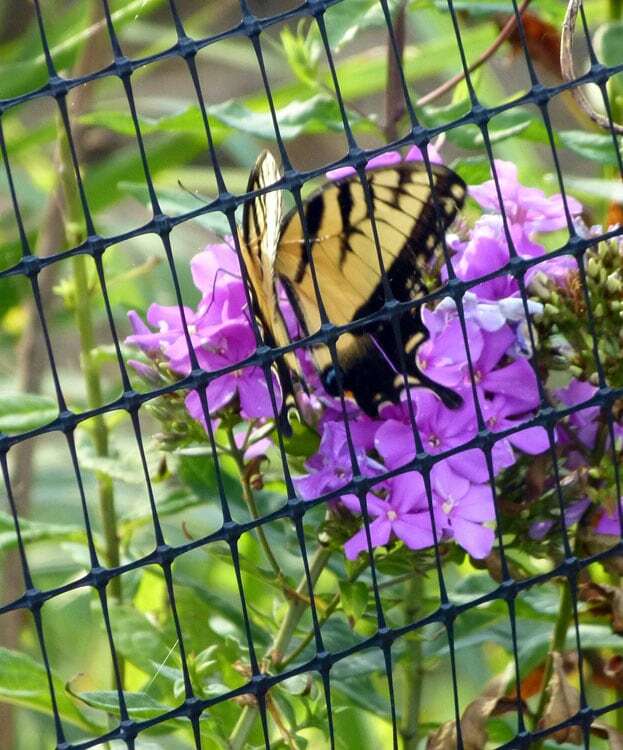 He couldn’t resist taking a few minutes to get pictures of this beautiful visitor going through to the blossom. How lovely. We are starting to see the monarchs. They feed on the milkweed growing in the nature preserve. I am thinking of harvesting a few seeds there and planting it somewhere in the back for them. Abby, I appreciate your comment. 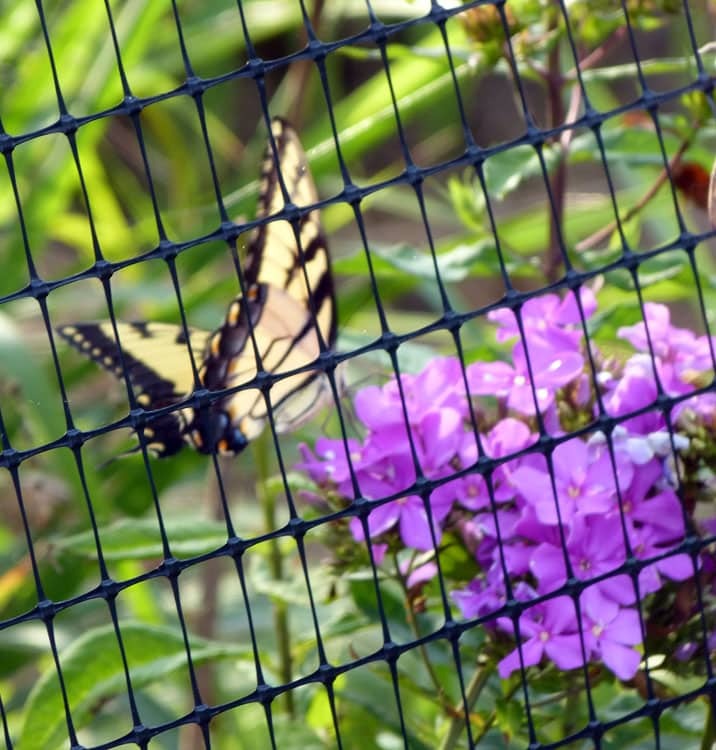 This post is so simple — but I just could not resist sharing for those who appreciate the simple but awesome things that take place in a garden —– like this butterfly maneuvering through a square of fence to get to a blooming flower. I’m so glad you found it lovely. Theresa, Thank you so much for sharing, how delightful. I love those special moments in the garden. My morning time in the garden is always so special and most days I see something that amazes me. Donna and Alice — Thanks for joining in. I really did think it was a special moment. It is funny he didn’t try to fly over the fence. 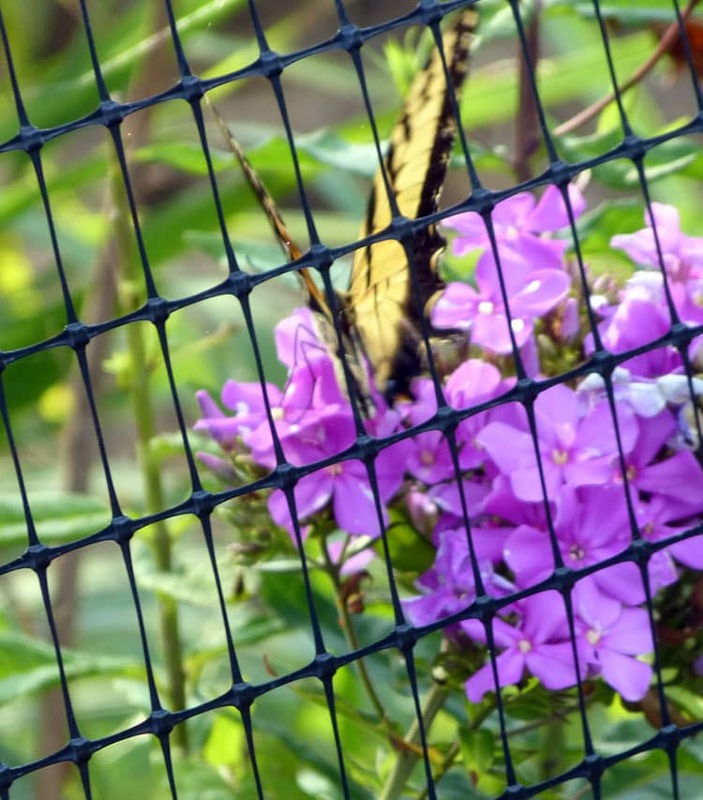 Butterflies are good at maneuvering and have better control of their flight than one would imagine, given the fluttery, random look of their movement. In Texas, I once saw one dodging a persistent dragonfly. Its motion looked so random, but the dragonfly kept missing, despite repeated attempts to capture the butterfly. It was almost as if the butterfly was teasing it. That’s an amazing story, Abby and something I would love to have seen! Speaking of dragonflies —we have had dozens and dozens of them this year all over the yard and garden. And they have been every color you can imagine — just beautiful! Some have had blue wings and other red wings. Some are multi-colored. In prior years I never remember seeing but an occasional one here and there. So this year has been a real treat. I especially like the fact that they eat mosquitoes! 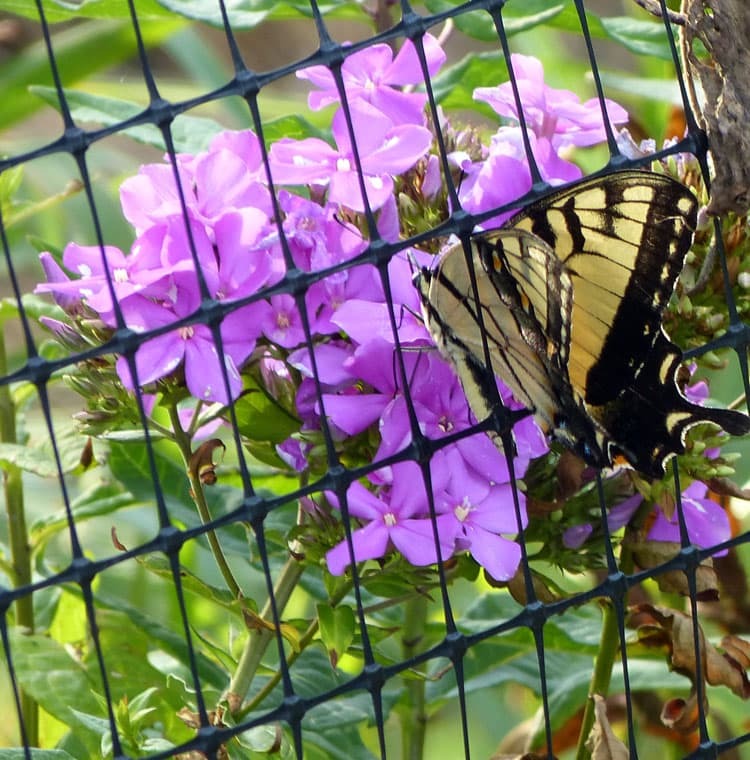 One more note about the swallowtail — Our fence is about 6 feet high. 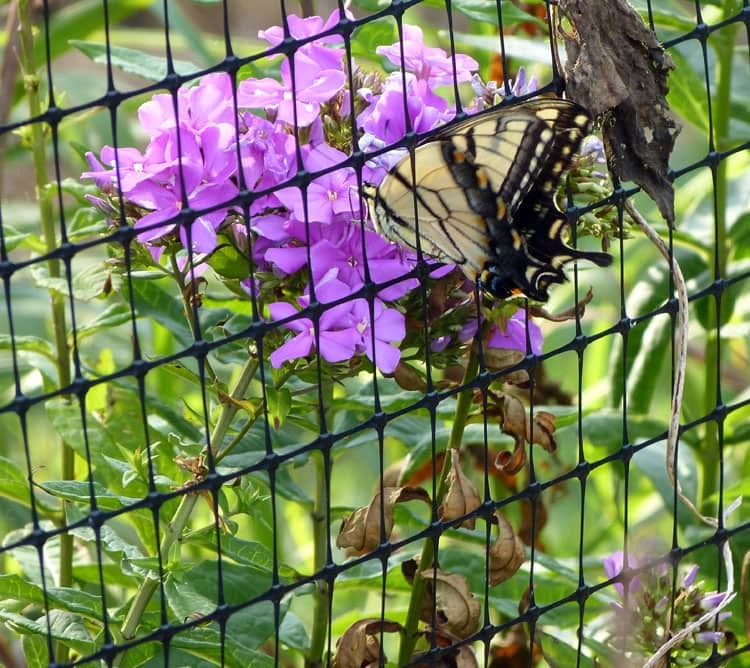 He was at the 3 foot level and I guess was just concentrating on the phlox and took the path of least resistance. 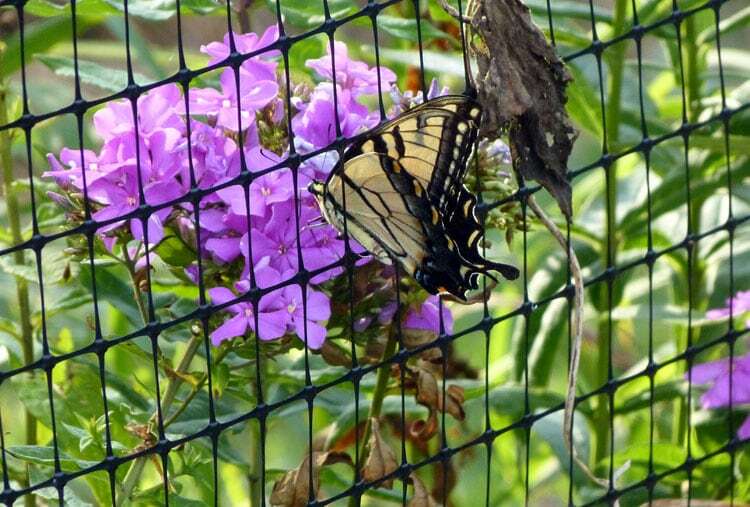 It’s amazing what I have seen go through the fence this year. The other day a wasp was literally dragging a dead (or paralyzed?) spider across the path and took him through the fence into the border. I stopped to watch because I could hardly believe it. Wow, I love that squishing through the fence. I never knew they were so flexible. Beautiful.